Budapest is a city of ambiguities and secrets, stunningly beautiful, historic but mysterious. It is to this enigmatic place that a young American couple, Annie and Will, move with their infant son shortly after the fall of the Communist regime. For Annie it is an effort to escape the ghosts from her past; for Will it is a chance to try his wings as an entrepreneur in Hungary’s newly developing economy. Only weeks after moving there they receive a request from friends back home asking them to check up on an acquaintance, an elderly friend who has also recently moved to Budapest. What the couple does not know, of course, is that in complying with that request, they will become entangled in a dark and deadly feud, one that climaxes in a stunning loss of innocence and a shocking end. Jessica Keener is the bestselling author of Night Swim and a collection of award-winning short stories, Women in Bed. She has taught English literature and writing at Brown University, and her works have appeared in O Magazine, Redbook, the Boston Globe, and others. Her new novel Strangers in Budapest is a fabulously complex and mysterious tale that is full of atmosphere and suspense. It’s a multifaceted novel that explores how our choices affect others and how our past often shapes our future. Will and Annie are trying to incorporate themselves into the unsettled business world of Budapest in the 1990s. Things go awry when they meet the enigmatic expatriate, Edward Weiss, an elderly Jewish American who is seeking answers about his daughter’s death. Edward is on the hunt for the man he believes murdered his wheelchair-bound daughter and fled with her money. Annie decides she wants to help him, but she is naively unaware that his plan involves more than just errands and more to do with violent revenge. But Annie has secrets of her own, and grave concerns about her husband's questionable business ventures. Chased by her own demons from the past, Annie’s intentions are well meant but what will be the ultimate results of her involvement with Edward’s pursuit, and will she be liable for the consequences? Caught between her husband’s shaky business endeavors and Edward’s escalating anger, Annie is plunged into Budapest’s seedier side, where faith and transformation are no competition for the shocking realities of the past. As these storylines begin to converge, the characters reflect on their choices and what they mean for the future. The plot moves quickly and Budapest of 1995 is the perfect backdrop with its picturesque location, tragic history, and political complications. From the very first pages the reader is bombarded with an air of danger that seems to permeate almost every scene and conversation. 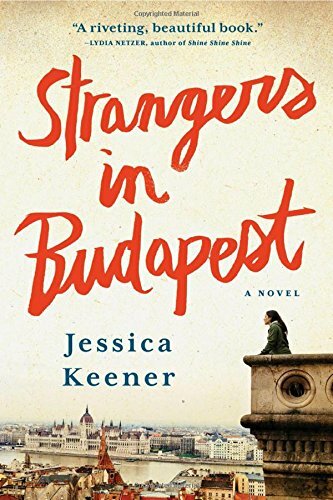 Jessica Keener’s Strangers in Budapest is a powerfully provocative psychological thriller that combines engaging characters with a gripping and darkly atmospheric plot. This novel’s gut wrenching discussion of how our past actions often affect our present is both poignant and thought provoking. Within its pages, Keener masterfully examines sorrow and remorse, dishonesty and loathing, and the ultimate search for unattainable redemption, truth, and love.